A/Prof Sathaa A Sathasivan and Professor Brajesh Singh from the Global Centre for Land-Based Innovation are working to improve our ability to disinfect the drinking water supplies of more than seven million Australians in a new ARC Linkage project, "Smart Management of Disinfectant in Chloraminated Water Supplies". Providing consistently safe and reliable drinking water is one of the essential needs of public service utilities. Ensuring that water is supplied continuously to extremely high standards of cleanliness is far more complex than most people realise and involves the ongoing management of water storages and intensive disinfection using a range of chemical and physical methods. One of the main disinfecting agents used is chloramine, a compound similar to chlorine but with the addition of ammonia. In fact, that distinctive 'swimming pool smell' is from chloramines as chlorine reacts with nitrogen-containing compounds in water. 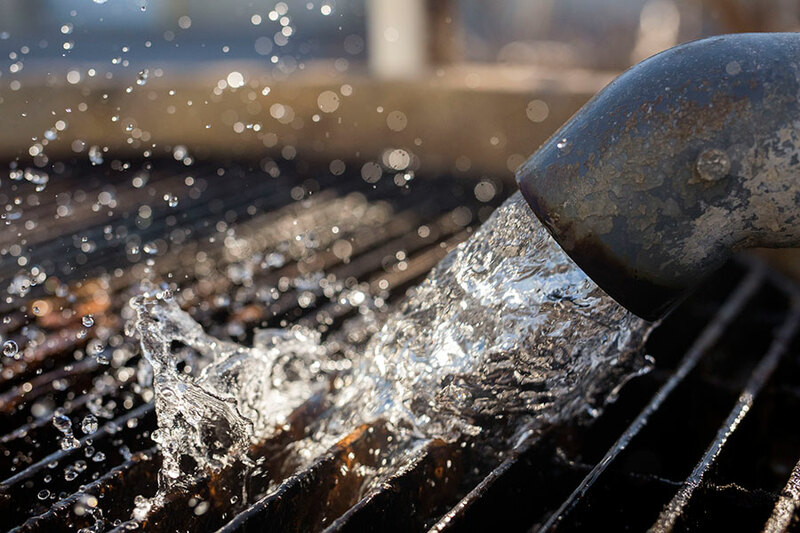 Water utilities are moving to using chloramine on account of its longer-lasting action and greater stability where it is especially good for warm water or water with high sediment or organic matter loads. One of its drawbacks, however, is that chloramine exists in a range of states from monochloramine as well as small quantities of dichloramine and trichloramine, the proportions of which water utilities have to spend considerable time and funds to manage. Chloramines can react with a range of microbes in water and inside pipes that convert chloramine to ammonia and nitrites, which then have to be treated with high doses of chlorine. How addition of chlorine and chloramine can impact on different types of microbes that each break down chloramine and ammonia in water. In this new ARC Linkage project, A/ Prof Sathasivan and Prof Singh from Western Sydney University are leading a team of academics and industry that will develop an adaptive control system to better manage the treatment of microbes in water supplies. This adaptive system will offer a range of solutions to manage chloramine decay and nitrification in real-world water environments where there is a wide range of water qualities and temperatures. As Australia moves towards greater recycling of water, the need for effective disinfection by chloramines will increase and in a warming climate with an emphasis on managing water supply costs, utilities need to be able to make the most efficient use of disinfection resources. Chloramines can be very effective at removing human pathogens such as Naegleria, Giardia and other water-borne microbes but managing the ongoing availability of chloramines in water requires a new understanding of the way that chloramines interact with microbes under different conditions. This project "Smart Management of Disinfectant in Chloraminated Water-Supply Systems" is funded by the Australia Research Council Linkage scheme led by Western Sydney University with the University of New South Wales, Swinburne University of Technology, Arizona State University, CSIRO and Sydney Water Corporation.